I am on the go a lot. A meeting here, board development there. 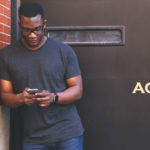 Social media posting here, writing articles there. My mother is always telling me that I go too much and I need to slow down. So one day, I intentionally arrived early to an appointment with my client so that I can breathe a little, stop and smell the roses, think and process. As I looked over to my left, I saw around six young black boys, had to be between the ages of nine and fifteen, playing an innocent game of catch in the parking lot. Some had backpacks. Some were dressed like they just came from school. Some were dressed ready to play. They played and ran and laughed. It was such a refreshing sight, I snapped a candid shot of them. I guess I wanted to capture the innocence of them just being kids; playing, having fun. Seeing these boys made me smile, but suddenly my thoughts turned quickly to subdued sadness. I began to think, I wonder how many of these kids do not have a good home life to go to which is why they are out here. I wonder how many of these kids will make it to their 30th birthday, or their 21st or even 18th birthday. I wonder how many of these kids are really in a gang or selling drugs or doing something else illegal and dangerous, or how many will fall victim to gun violence and die way too soon. All of these thoughts entered my busy, overloaded mind as I watched a simple game of catch. Looking at these black boys playing reminded me of a young man I happened to meet recently who has a passion for reaching black youth in an innovative way, hoping to combat some of those very things I just mentioned from happening. A man with an incredibly huge vision of how education can drastically change the narrative of black youth, no matter their background or circumstance. A man who is not satisfied with educational systems that do not encourage or even suggest black greatness. 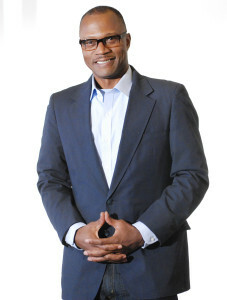 William Jackson is the founder and CEO of Village of Wisdom. Jackson created this organization to promote the academic and personal success of black youth. The Village of Wisdom (VOW) staff members embrace black families, assisting parents with cultivating families where black youth feel compelled for excellence. Jackson has created more than just a program. It is a movement. 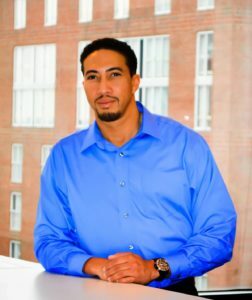 His non-profit organization not only works to close the gap of opportunity for black youth, but it also empowers black families with resources, school connections, cultural strengths and ways to explore youth interests. VOW provides an environment where black youth celebrate Black Genius, a concept that on the surface seems quite simple, but in this inherently racist society where Black Genius is not regularly acknowledged, this celebration makes a huge impact on the collective esteem of young black children. 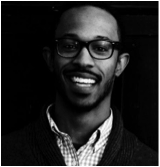 Jackson,who is pursuing a Ph.D. from the University of North Carolina at Chapel Hill in Educational Psychology, Measurement & Evaluation, seeks to make sure black children develop a positive black identity by intentionally connecting their race to greatness. “The idea of black achievement should not be a strange idea,” Jackson said. “What we do is provide training and discussions for families to protect the self-esteem of black children and protect their self-image from the negative effects of racial bias in education,” he said. 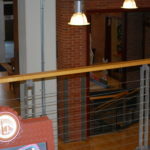 Through its Wise Resource Center, families celebrate Black Genius through field trips and attendance at cultural events. After four years of teaching himself, Jackson realized that schools were not a place that protected black children from a negative self-image. Across America, 75% of teachers are white women. “Think about how that impacts black children, how it shifts their own identity,” Jackson said. 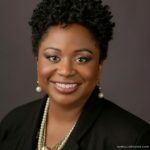 “How would it make me feel about my own blackness when most of my teachers do not look like me and cannot relate to my cultural or home experience?” It directly affects the black student’s ability to learn as not only are they thinking about the lesson at hand, but they are also dealing with being misunderstood and negative stereotypes they must constantly disprove. They cannot just go to school and participate in the educational process and just learn. All of these other stressors can negatively impact a black student’s ability to learn up to their full potential. 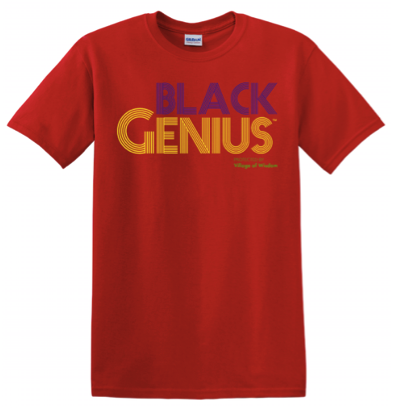 To order a Black Genius t-shirt, go to Order your Black Genius t-shirt here.. Through the field trips, students get first hand opportunity to Celebrate Black Genius. The experiences are designed for students and parents to feel good about being black. 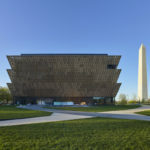 VOW took students and their families to the Freelon Architecture Firm in Durham, the firm responsible for constructing the National Museum of African American History and Culture in Washington, D.C. There they learned of the plans for the museum and were able to witness Black Genius in action. “What this does is purposely connect the concept of being black and doing great things,” Jackson says. This in turn adds to the positive self-image of being a black student, preparing young black minds to recognize that is what they should expect for themselves: Genius. Rather than celebrating an achievement while de-emphasizing a black person accomplished it, the discussions and examples black students experience on these trips stresses home the point that they are witnessing Black Genius at work. If another black person can reach greatness, why not them? 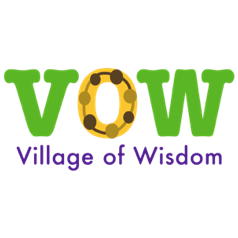 VOW also works with families to create learning villages to further strengthen positive racial identity for black children. 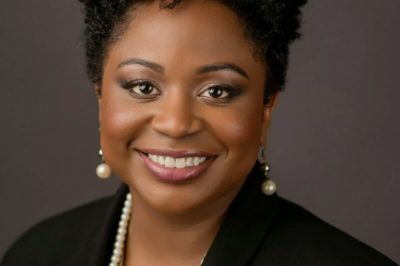 They create forums for discussion to bring parents of black children and mainstream demographics together to discuss privilege and the affects it can have on education in general. They offer a safe place for those uncomfortable talking about racial injustice to talk about it with the focus on magnifying those policies which contribute to racial injustice and also come up with solutions to dispel of these policies. VOW also acts as an advocate and information hub, connecting black parents with legal resources available to them to assist with making sure Black Genius is protected and even cultivated in schools. VOW was established in 2014 and has been recognized as a very important organization in the cultivation of Durham black youth. As part of his 5-year plan, Jackson hopes to produce a model and action plan on how to provide a racially just education. They will look at teachers and determine if they provide cultural affirmation in the classroom and if they help instill a can-do attitude in their black students, two of the most important steps which must be taken in schools to protect Black Genius. Jackson says, “When a student has to learn about and from people who don’t look like them and who are not familiar with their culture, it can block their ability to learn.” He went on to say that black students can “become exhausted from dealing with effects of racial disparity and injustice” which keeps them at a disadvantage when trying to process information and learn their schoolwork. VOW invites the public to come out to its #BlackGenius Fest, which is an annual, community celebration of Black Culture featuring music, science activities, and the recognition of community organizations working to eliminate the academic opportunity gap facing Black youth and more. This event is for Black Geniuses of ALL ages and promises to foster the positive black self-image that Jackson encourages in his organization. This year it takes place on Saturday, September 10 from 2-5PM at Northgate Park in Durham. For Jackson, Village of Wisdom is a very simple concept. 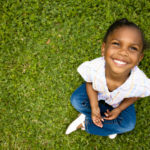 “If we reach out to our black children, learn what they are interested in, learn how they feel about being black, determine who they trust, and empower those they trust with the tools to foster and maintain a positive image of being a black child in America, we are able to reach them and form that important connection,” Jackson said. 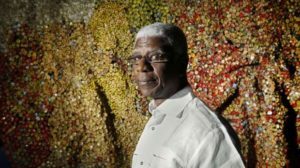 “Using this information, we need to listen to what is important to them, develop a relationship with them, build strong support systems and networks for them (learning villages) and that will lead to Black Genius,” he continued. The idea is if we keep them engaged and expecting Black Genius, these beautiful black children will envision what an equitable future looks like, and believe it is not far off. All they will need to do is reach out and touch it. This is a more fulfilling mindset than constantly thinking they are “less than.” With this new mindset, the sky is truly the limit. 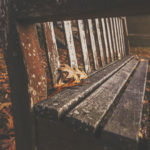 For more information on Village of Wisdom, please visit their website at Village of Wisdom or Follow them on Facebook at facebook.com/villageofwisdom.